Building a portfolio is simple. You can curate your own portfolio of real estate loan investments or allow PeerStreet to do the work for you with Automated Investing. Just select a few custom parameters and we'll place you into loans automatically. Our team of finance and real estate experts underwrites each loan using advanced algorithms, big data analytics and manual processes to ensure PeerStreet surfaces high-quality investments. We also carefully vet originators and allow only experienced private lenders with great industry track records on to the platform. Those originators run their own due diligence process to hand select the borrowers to whom they're willing to lend. Our process surfaces higher quality loans in greater quantity, so you can invest with confidence. You invest, PeerStreet does the rest. What is PeerStreet? PeerStreet is a marketplace where accredited investors can invest in high-quality private real estate loans. We provide access for accredited investors, funds and institutions to a historically difficult-to-access asset class. What’s the general profile of a PeerStreet loan? PeerStreet loans are generally secured by first liens on real estate. PeerStreet partners with top-tier originators across the country and carefully vets their loans before making them available to our investors. Most of our loans are short in duration (6-24 months) with LTVs typically below 75%. PeerStreet’s range of investments provides investors the opportunity to build a diverse portfolio of loans across property type, geography, maturity, LTV, originator, among other characteristics. How does PeerStreet handle potential loan defaults? In the event of a default, PeerStreet will handle the workout process and work on behalf of investors to protect their investment and maximize proceeds. Our in-house team has more than 97 years experience in residential and commercial real estate (average of 13 years per person), 52 years of law and 12 years of regulatory compliance, ensuring that the interests of our investors are protected at every stage of the default/foreclosure process. PeerStreet also holds loans in a bankruptcy-remote entity that is separate from our primary corporate entity. In the event PeerStreet no longer remains in business, a third-party "special member" will step in to serve as a trustee to manage loan investments and ensure that investors continue to receive interest and principal payments. Additionally, from the time funds are received in an investor account until an investment closes (but not while funds are invested), all investor funds are held in an Investors Trust Account with Wells Fargo and FDIC insured up to $250,000. Why should I trust PeerStreet? PeerStreet runs through a thorough due diligence process on both the loans we put on the site and on our origination partners. What are PeerStreet's fees? PeerStreet may apply a servicing fee on each loan offered for investment. The servicing fee is a “spread” between the interest rate payable on a loan and the interest rate you receive as an investor. With this structure, PeerStreet has aligned our interests with our investors as we will only get paid when our investors get paid. Generally, this fee will be in the range of 0.25%-1.00% and it will always be disclosed. PeerStreet is a marketplace where accredited investors can invest in high-quality private real estate loans. We provide access for accredited investors, funds and institutions to a historically difficult-to-access asset class. What’s the general profile of a PeerStreet loan? 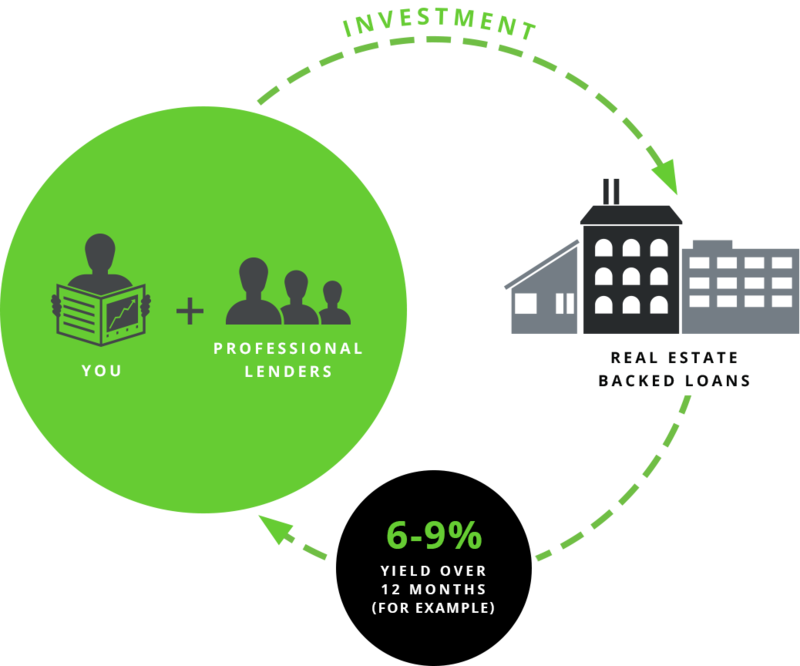 PeerStreet loans are generally secured by first liens on real estate. PeerStreet partners with top-tier originators across the country and carefully vets their loans before making them available to our investors. Most of our loans are short in duration (6-24 months) with LTVs typically below 75%. PeerStreet’s range of investments provides investors the opportunity to build a diverse portfolio of loans across property type, geography, maturity, LTV, originator, among other characteristics. How does PeerStreet handle potential loan defaults? In the event of a default, PeerStreet will handle the workout process and work on behalf of investors to protect their investment and maximize proceeds. Our in-house team has more than 97 years experience in residential and commercial real estate (average of 13 years per person), 52 years of law and 12 years of regulatory compliance, ensuring that the interests of our investors are protected at every stage of the default/foreclosure process. PeerStreet also holds loans in a bankruptcy-remote entity that is separate from our primary corporate entity. In the event PeerStreet no longer remains in business, a third-party “special member” will step in to manage loan investments and ensure that investors continue to receive interest and principal payments. Additionally, investor funds are held in an Investors Trust Account with Wells Fargo and FDIC insured up to $250,000. Why should I trust PeerStreet? PeerStreet runs through a thorough due diligence process on both the loans we put on the site and on our origination partners. PeerStreet may apply a servicing fee on each loan offered for investment. The servicing fee is a “spread” between the interest rate payable on a loan and the interest rate you receive as an investor. With this structure, PeerStreet has aligned our interests with our investors as we will only get paid when our investors get paid. Generally, this fee will be in the range of 0.25%-1.00% and it will always be disclosed.